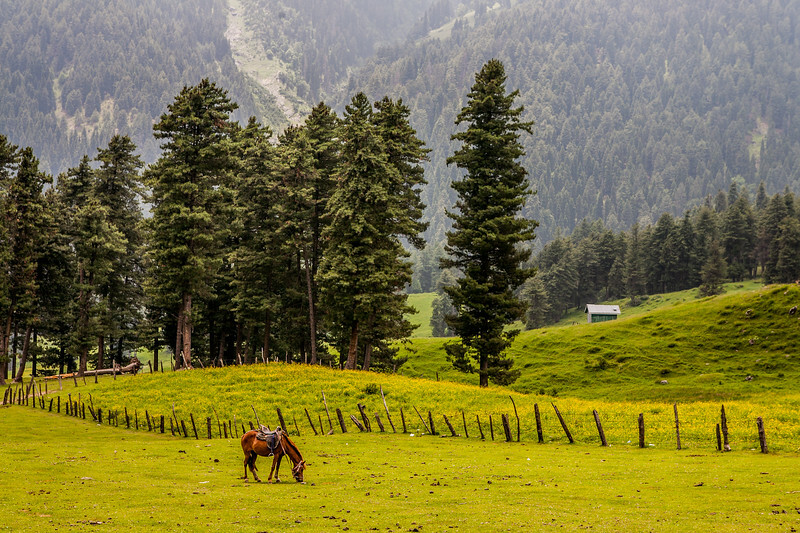 The route to Amarnath via Baltal is a straight path, with a steady ascent of 14 km to the Amarnath cave. Though this journey takes just a day, the continuous climb makes it extremely strenuous. 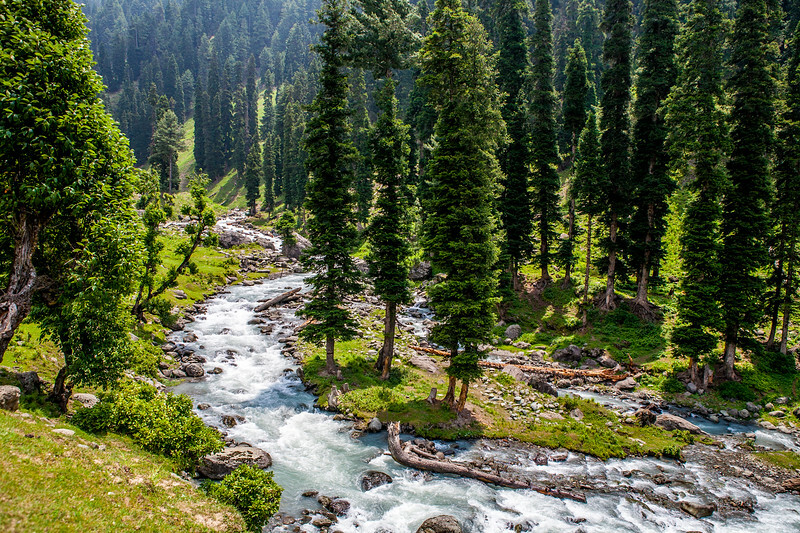 For its variety and beauty, we highly recommend the route via Pahalgam for the Amarnath yatra. 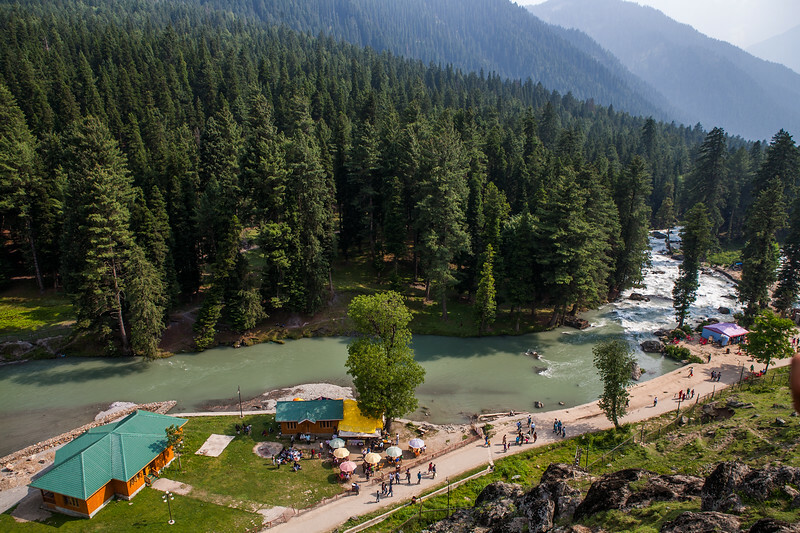 A buzzing market around the actual cave area of Amarnath belies its height of almost 13800 feet. 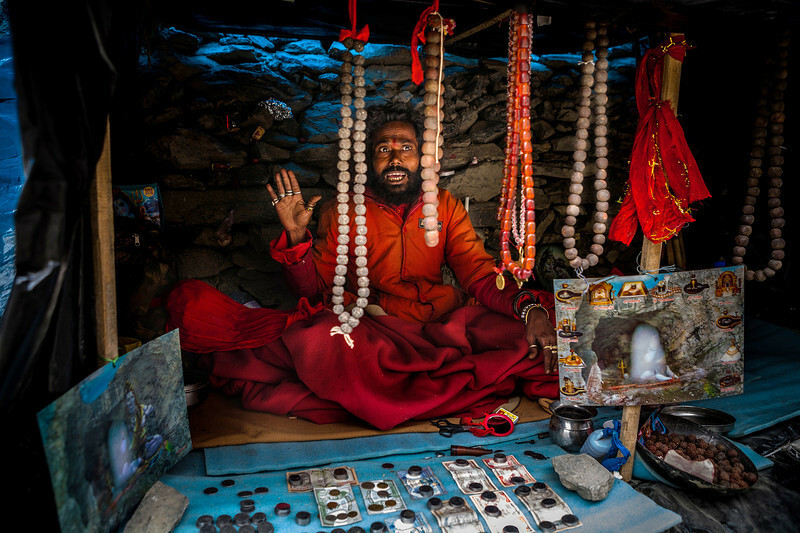 On one side of a long queue that leads to the holy cave of Amarnath, is row of “sadhus” who have set shop. 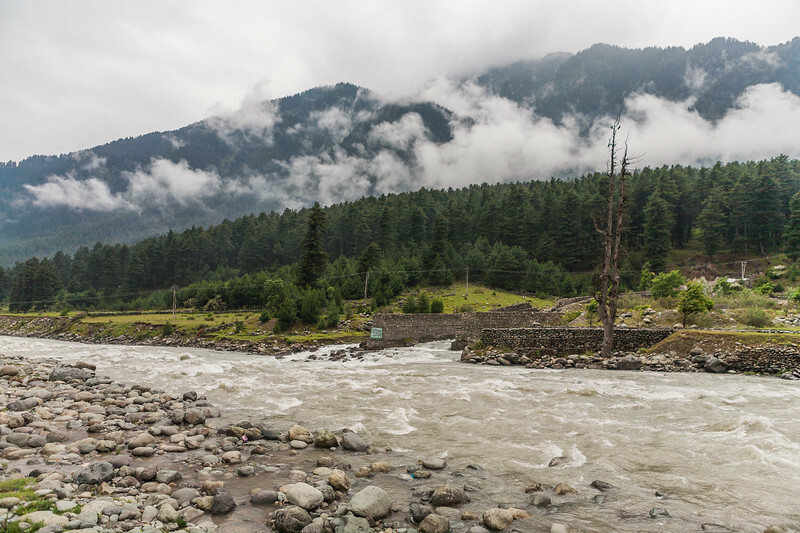 These are the scenes around holy cave at Amarnath. Altitude is around 3888m above sea level. 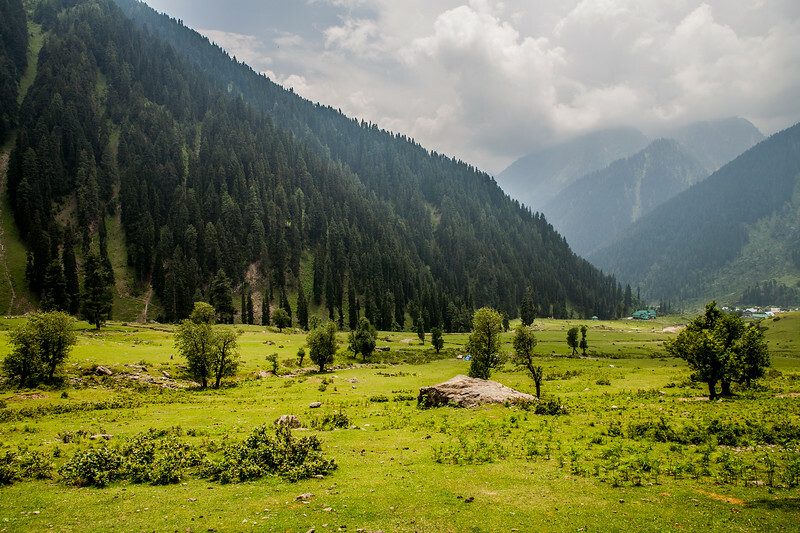 A buzzing market around the actual cave area of Amarnath belies its height of almost 13800 feet. High claims of selling the “purest saffron” are made. Needless to say, their claims of purity should be taken with generous doses of salt! 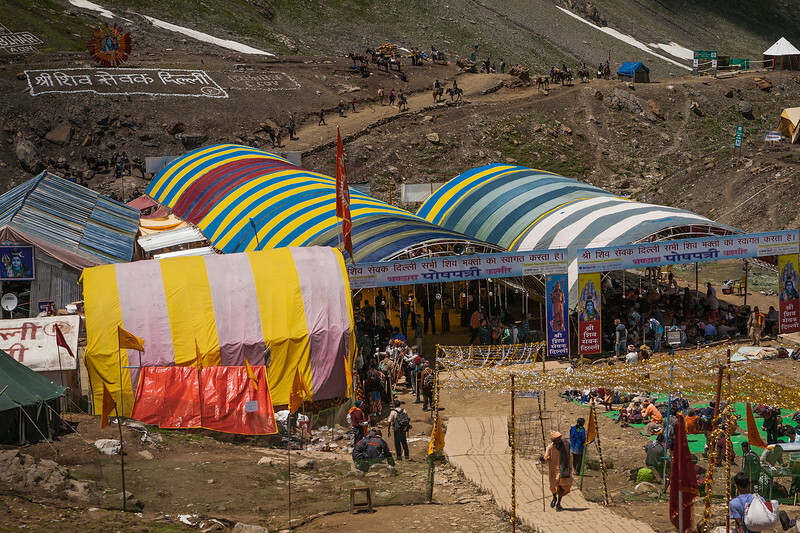 Panchatarini is the second night halt of the Amarnath yatra. This is also the disembarkation point for the devotees who prefer the helicopters. 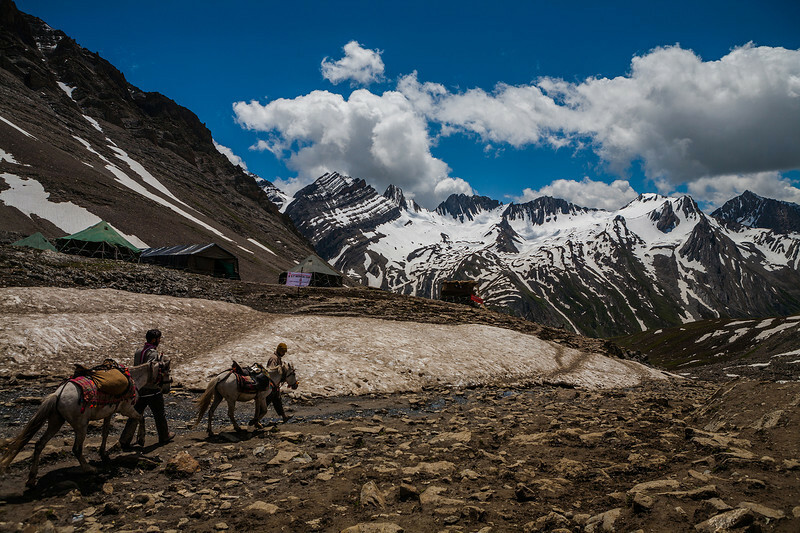 After Pachatarini a short ascent took us to the site of the “holy cave” of Amarnath. 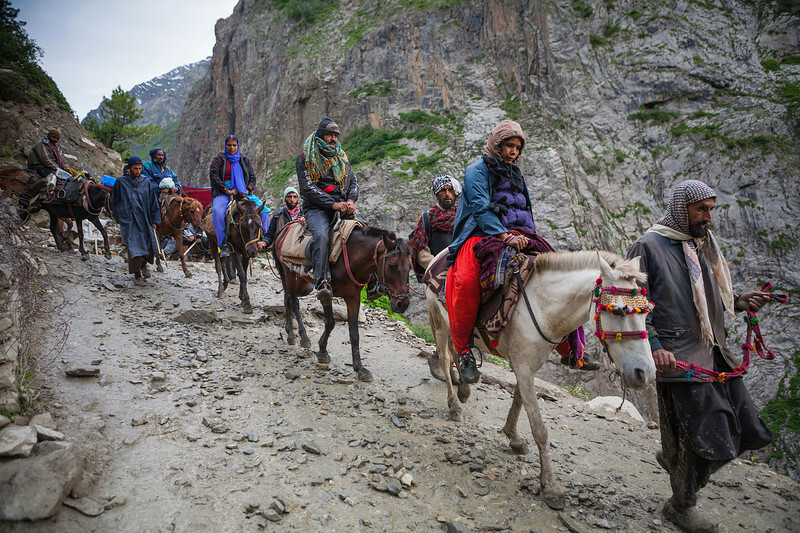 Helicopter, horse, a palkhi or your own two feet are all the options now available for reaching the holy cave at Amaranth at a height of almost 4000 meters. 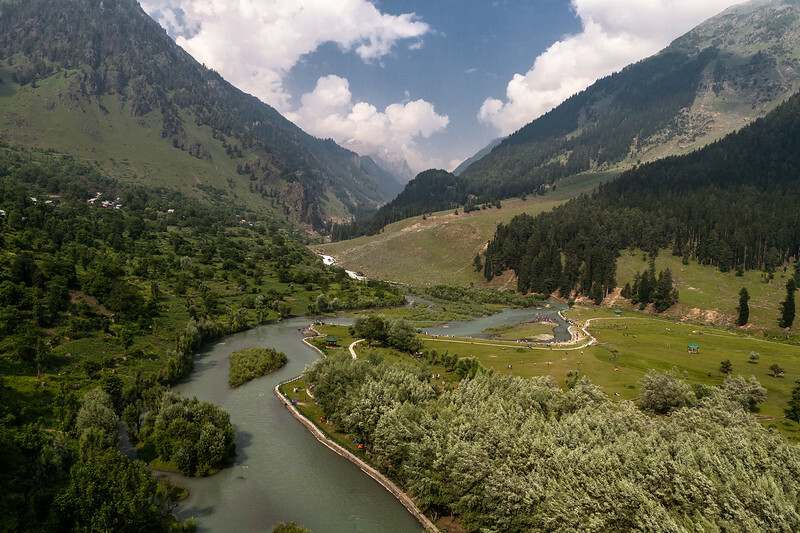 Amarnath yatra is the annual pilgrimage that devotees undertake in honour of Lord Shiva. 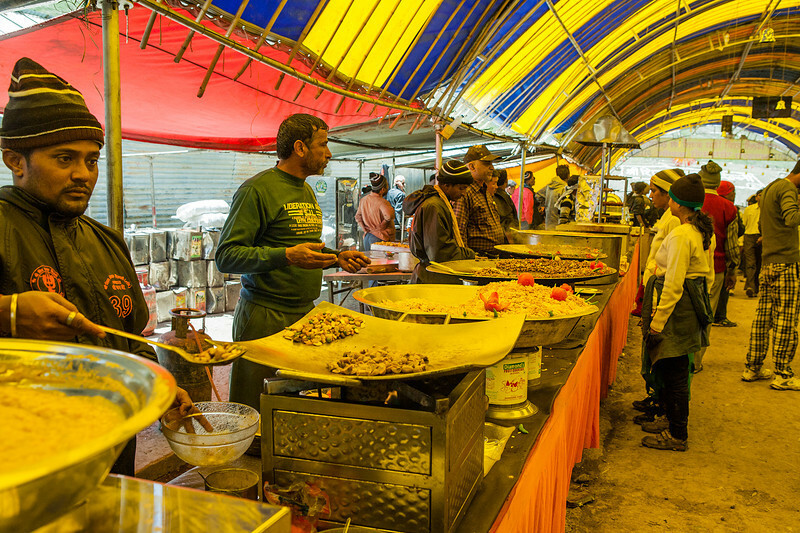 This is the food stall (bhandara) at Poshpathri, right after crossing the highest point of the Amarnath yatra. The variety served here could put a wedding party to shame! 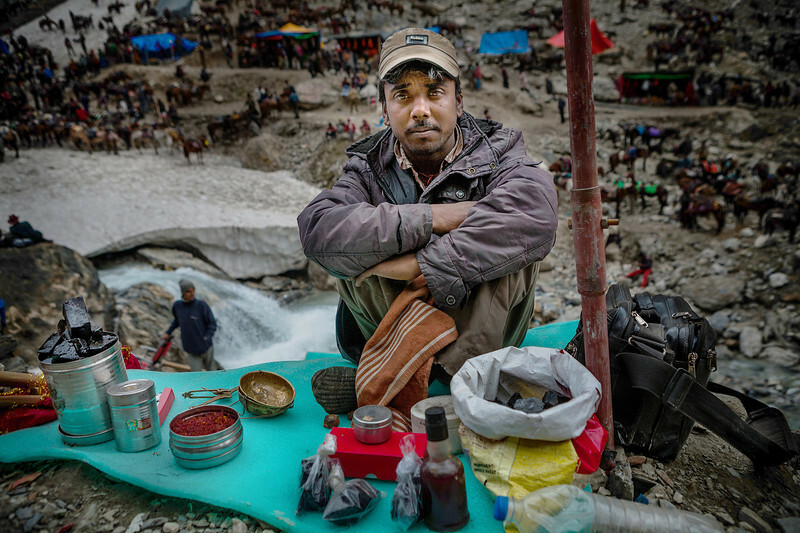 To be served it all at nearly 14000 feet, is kind of bizarre! 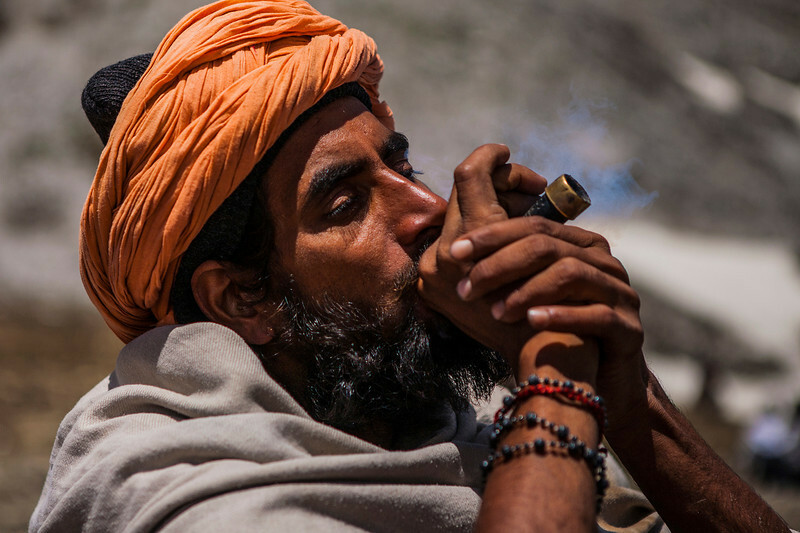 Amarnath yatra was our introduction to the ways and lives of sadhus - the holy men. At campsites we stayed in simple albeit warm tents, with mattresses and blankets. 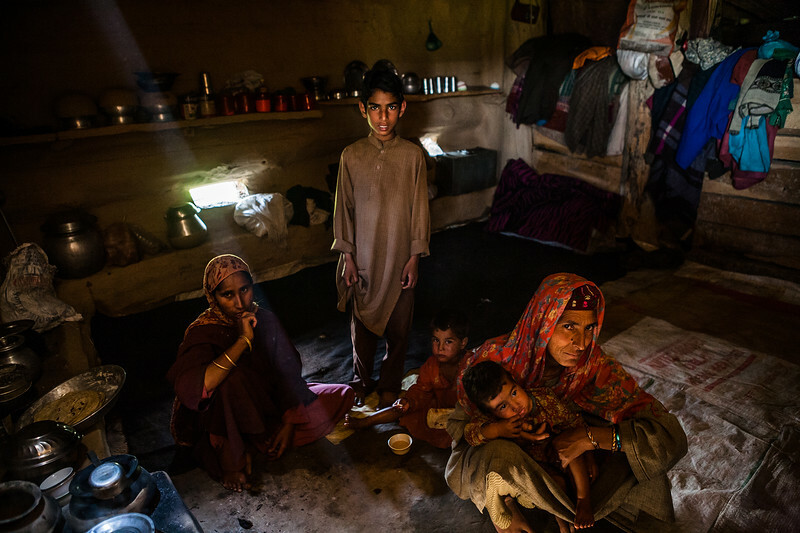 This basic accommodation was too much of a luxury for them. 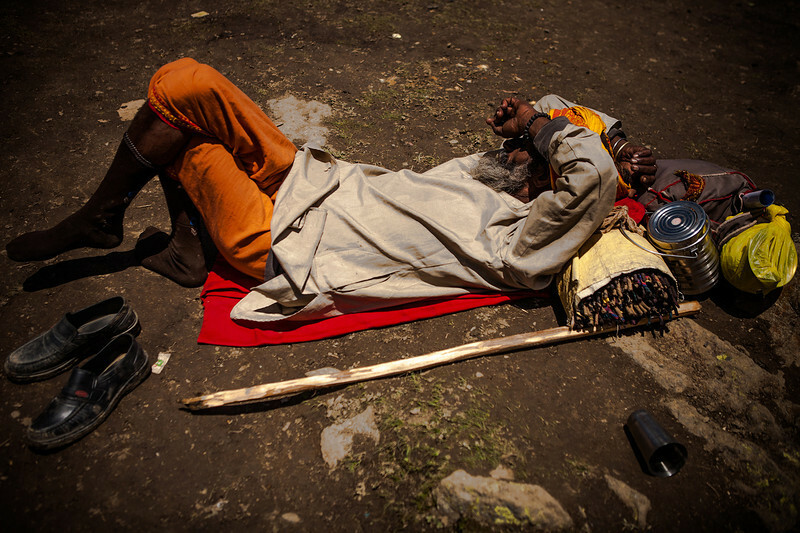 They slept in the open air “sadhu shelters”. Seeing them, was a study in cutting things down to the basics. 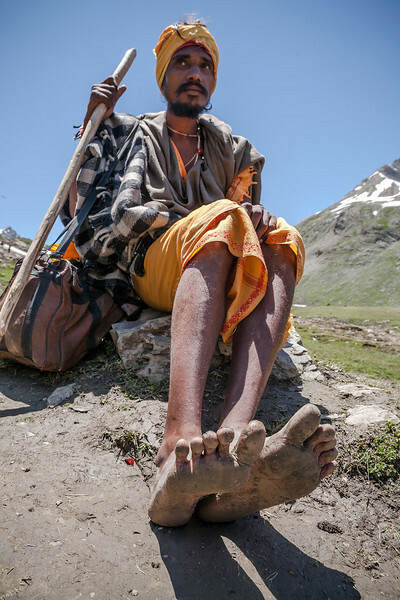 Meet Chunnilal, a brave young sadhu, who did the Amarnath yatra barefoot! 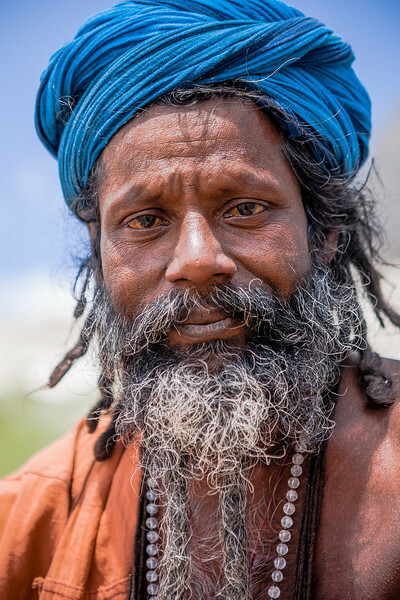 The many conversations we had with him was our first real contact with a sadhu. We gained a lot of insight into the kind of life they lead. His ultimate dream was to spend his life in Vrindavan, where according to him, God has his true presence! 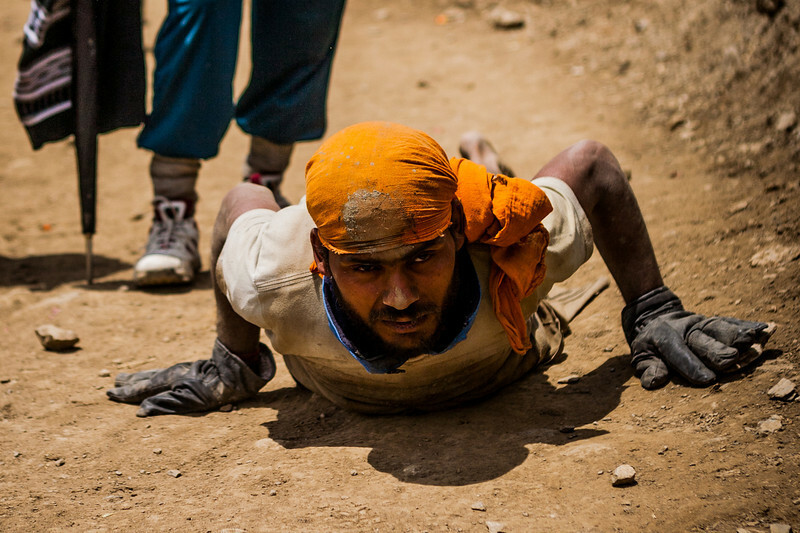 The feet bore the brunt of Chunnilal's barefoot Amarnath yatra. 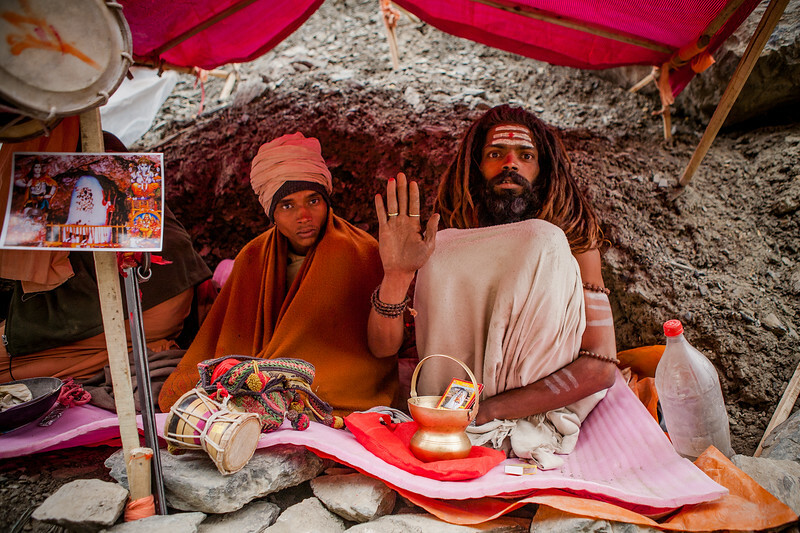 This was the second time the sadhu Chunnilal did the Amarnath yatra without any footwear. The first time was quite tough. But this second time, he said he felt very comfortable. Also, there wasn't much snow this time. That made it easier for him. 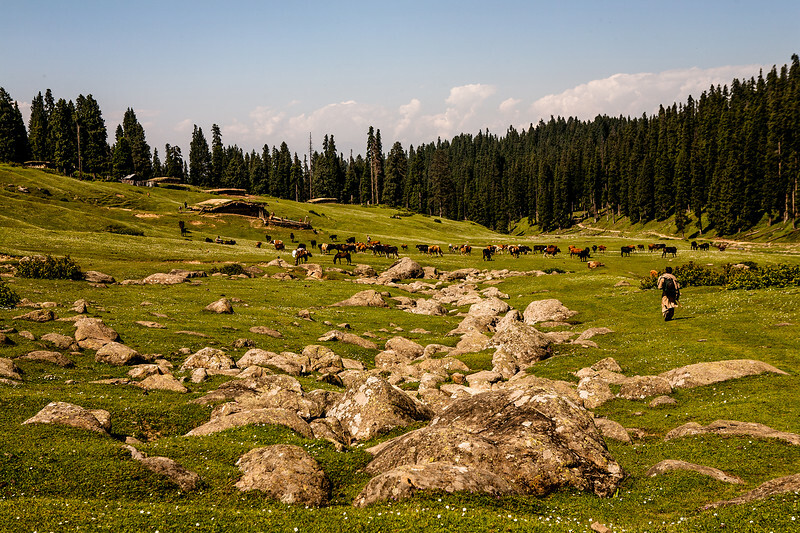 Mahagunas Top at a height of around 4200 meter is the top most point of the Amarnath yatra. 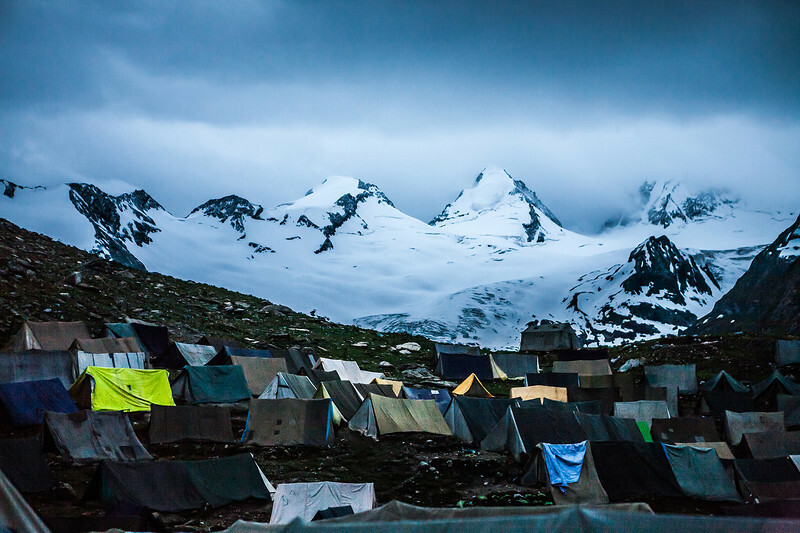 The only signs of life on Mahagunas Top were the tents of the Indian Army. 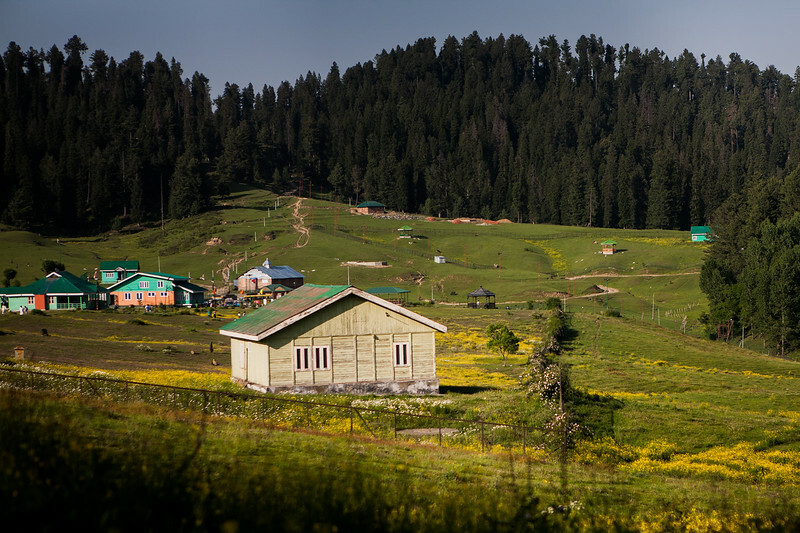 This altitude combined with the remoteness of the location, being there was an intense experience. 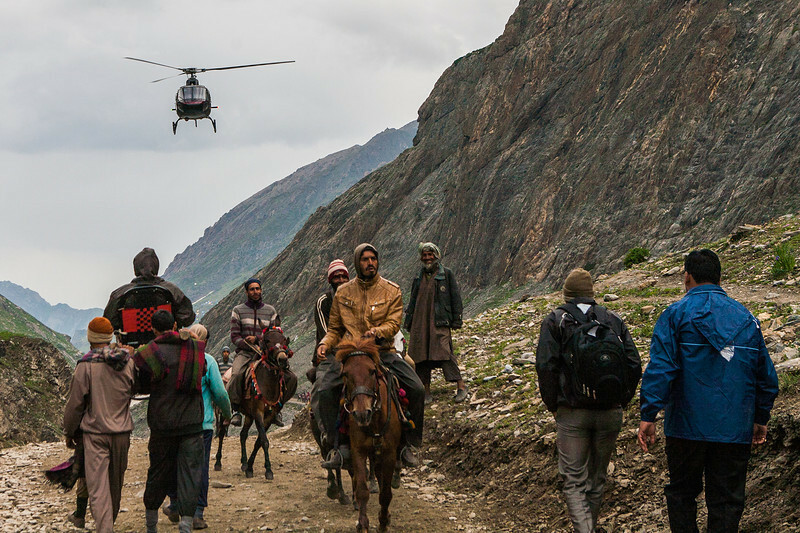 As we had hoped for, the Amarnath yatra was an excellent experience to meet all kinds of people. 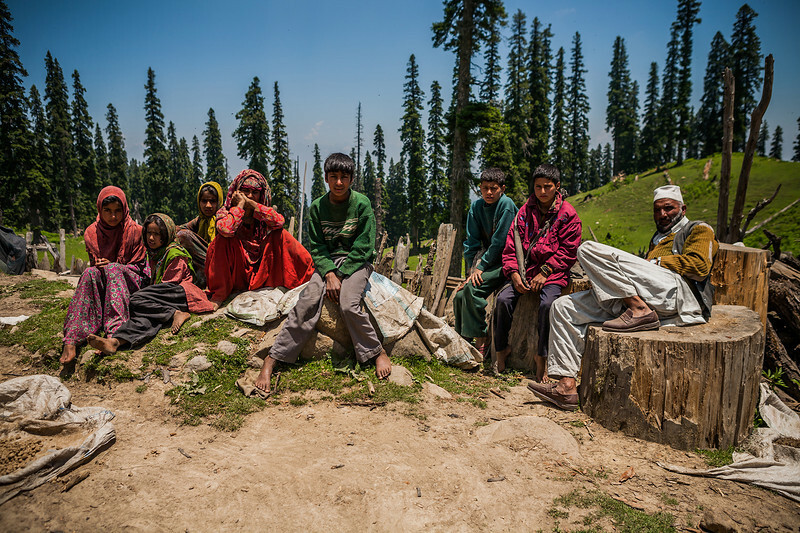 And as always, the people we met are our lasting impression of the Amarnath yatra. 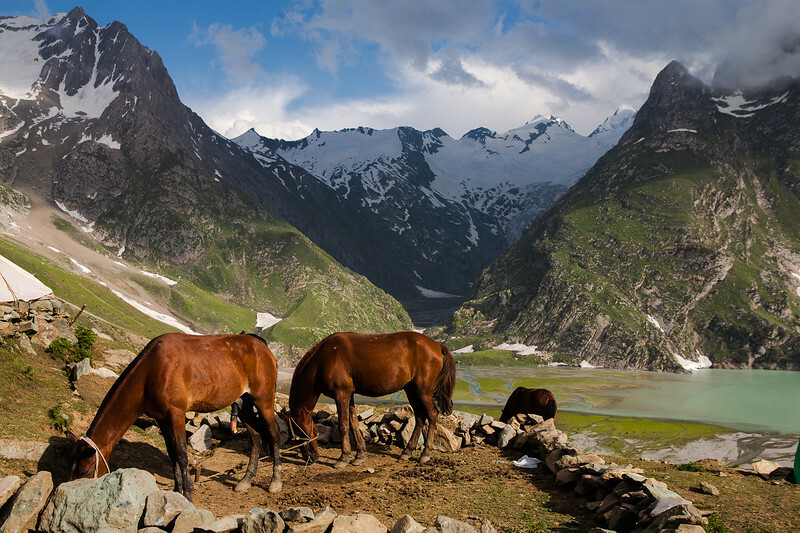 This is near Mahagunas Pass, the peak of the Amarnath yatra, at 14500 feet. 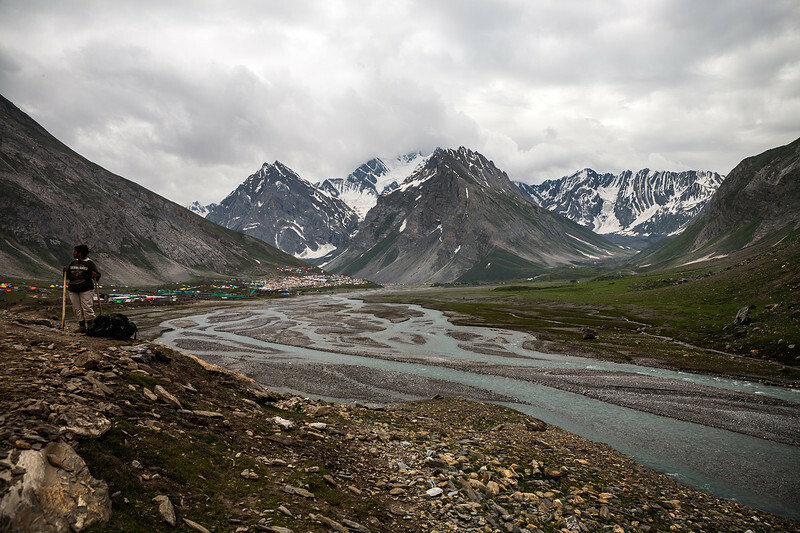 The greens of the first day of the yatra day give way to brown and barren mountains. Realising we were in a place where nature didn't intend for life to exist was a surreal feeling. 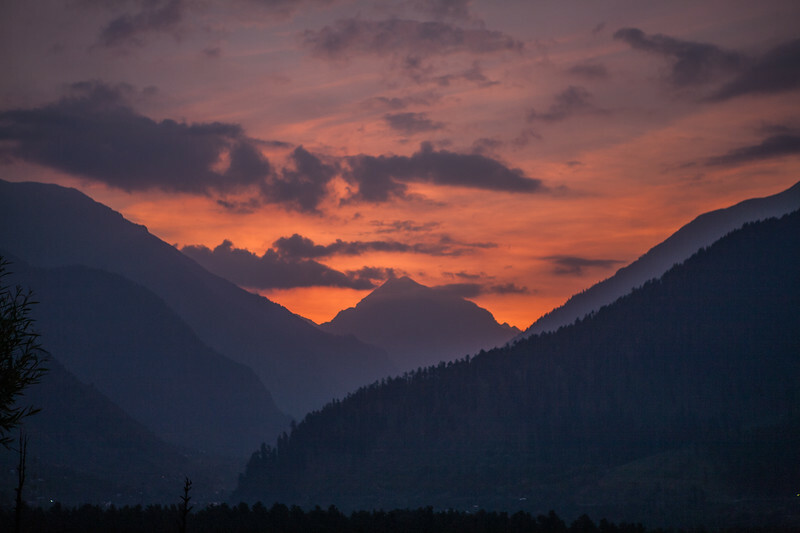 Sheshnag is the first night halt of the Amarnath yatra. 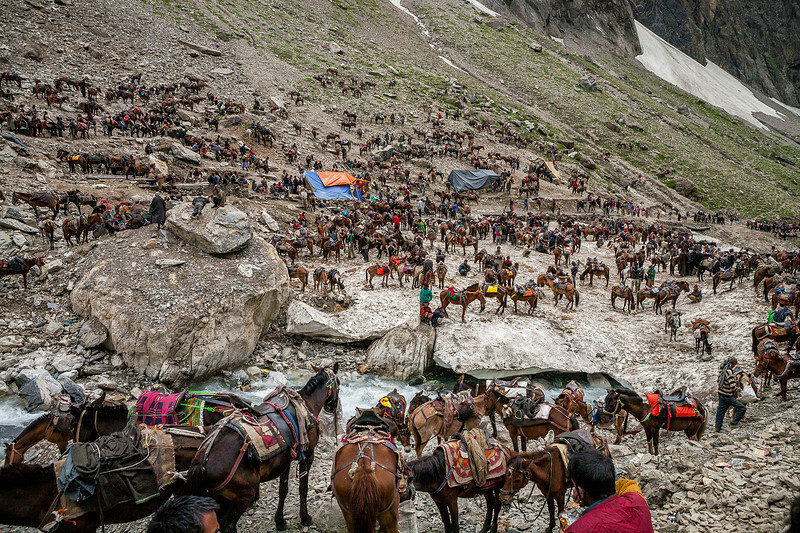 Thousands of Hindus undertake a pilgrimage to Amarnath, at a height of 3888 meter, in honour of Lord Shiva. This picture was taken at dawn in freezing cold. The snow on the mountains is fresh from previous night's snowfall. 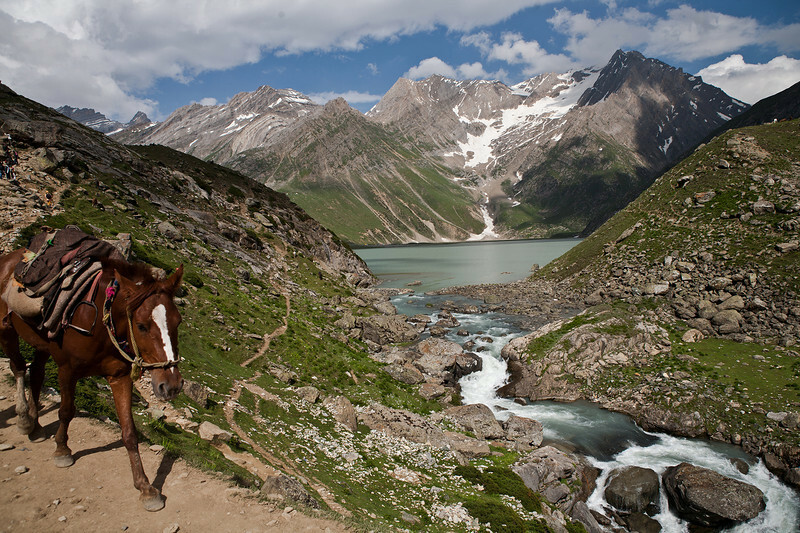 Read more on Amarnath yatra: Trek on a pilgrimage. 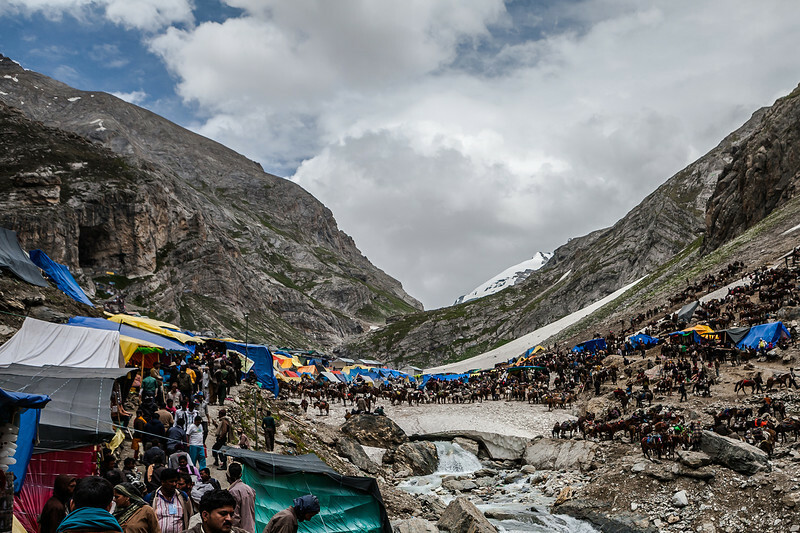 As we had hoped for, the Amarnath yatra was an excellent experience to meet all kinds of people. Like this old man, whose memory will forever inspire us. 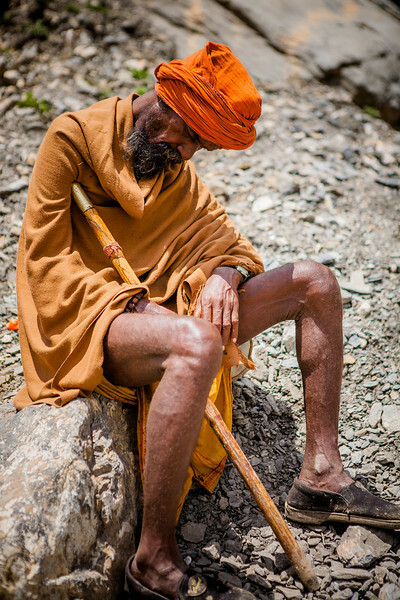 Devoid of any fancy trekking gear, he made it through the high mountains only on the strength of his faith. 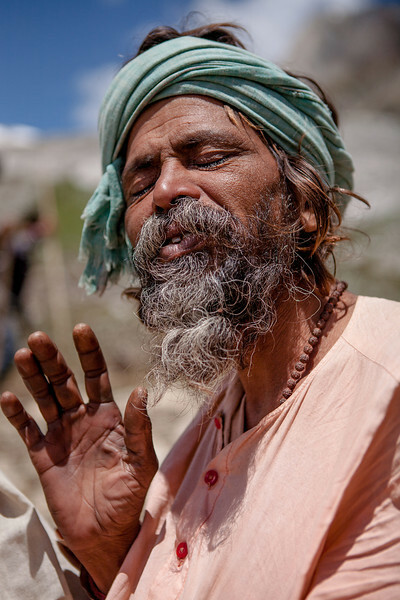 Amarnath yatra was our introduction to the ways and lives of sadhus - the holy men. 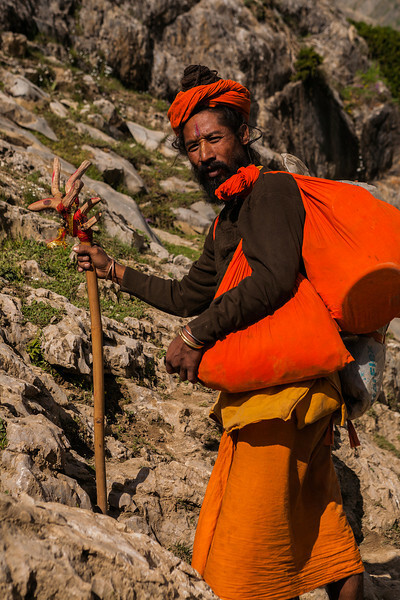 Carrying all their worldly belongings on their shoulders, they carried on on this important pilgrimage. Seeing them, was a study in cutting things down to the basics. 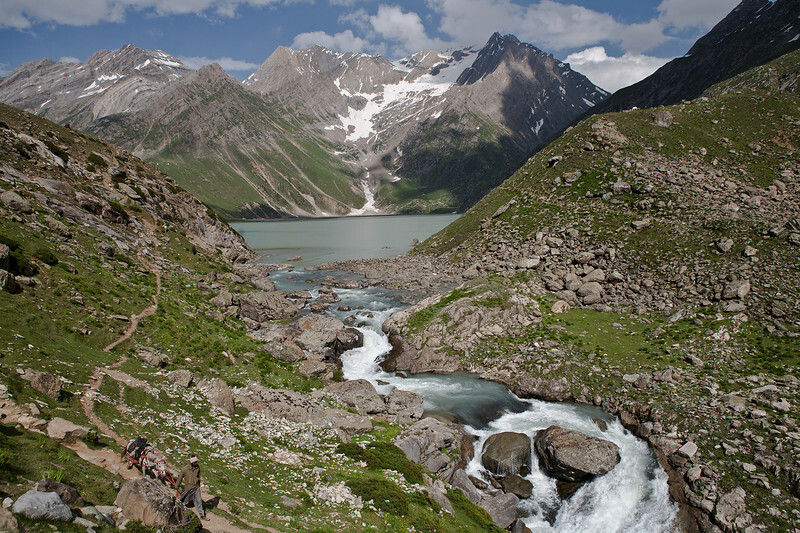 After a day's climb, this lake, the Sheshnag, is a welcome sight. 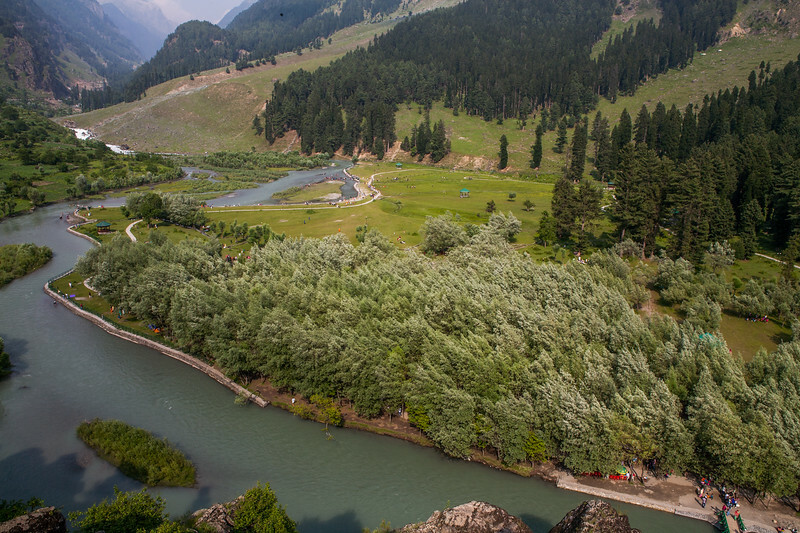 This is where the Amarnath yatra halts for the first night. 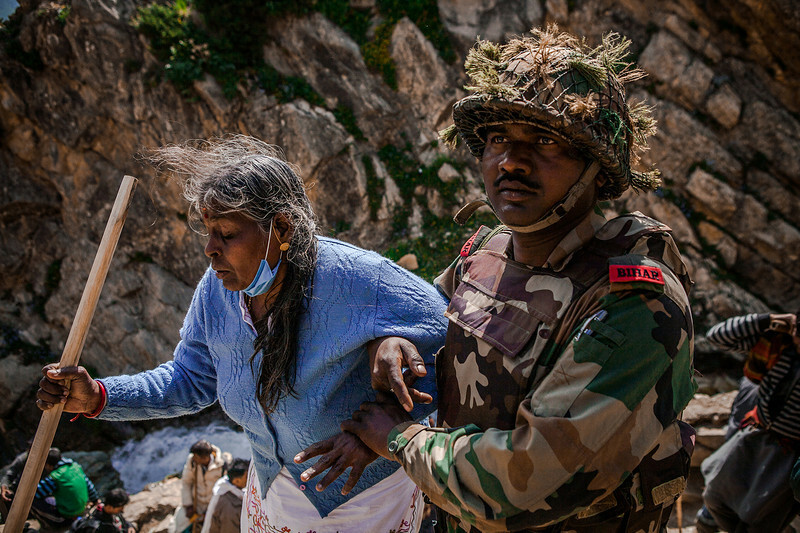 An Indian Army officer helps an old woman get through the final steep stretch to Pishutop, the first peak of the Amarnath yatra. 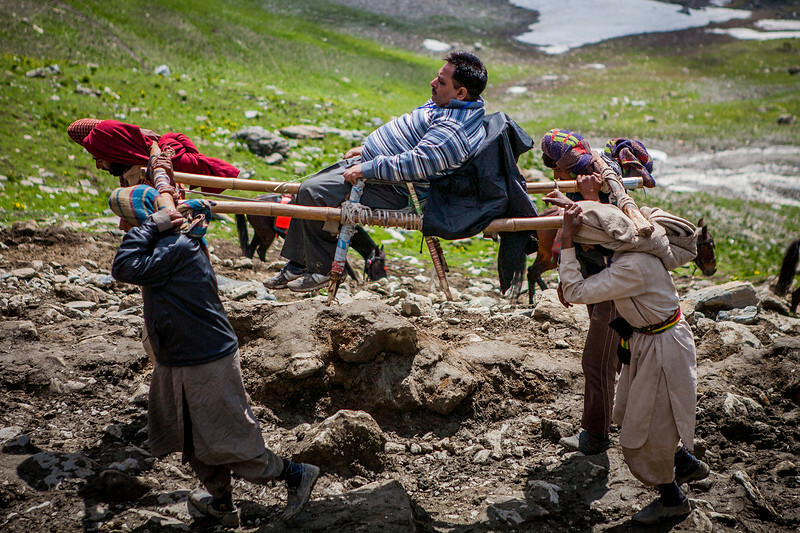 The army plays a vital role in making the yatra successful, ensuring the safety of the thousands of pilgrims in the remote high mountains. 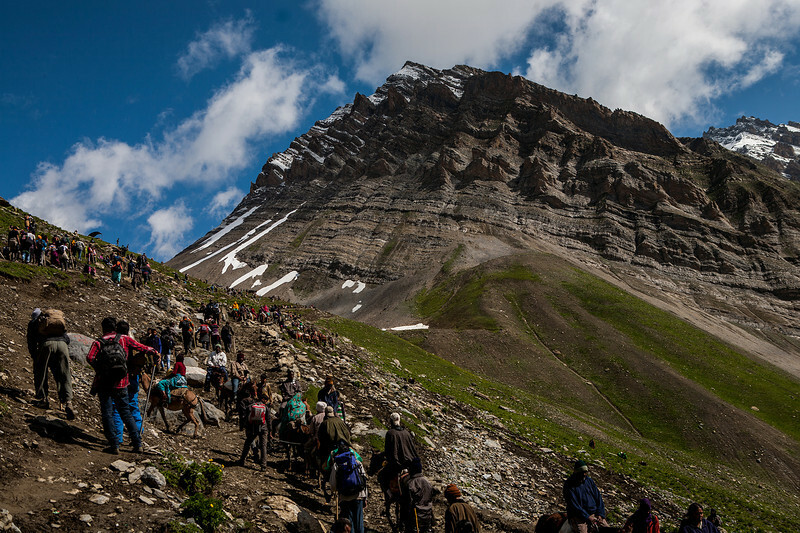 The Amarnath yatra, a 45 km annual pilgrimage into the mountains in honour of Lord Shiva was an excellent experience to meet all kinds of people. Like some crazy devotees whose reasons we will probably never know (and maybe never understand). He would move ahead on his four limbs, stand, fold his hands and chant a prayer. Then get down on all four limbs ahead. 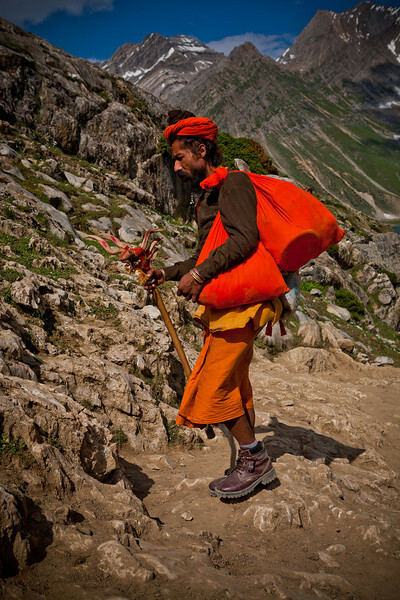 While the other devotees start their climb from a point called Chandanwari, only the sadhus start 15 km earlier, from Pahalgam, the original starting point of the Amarnath yatra. 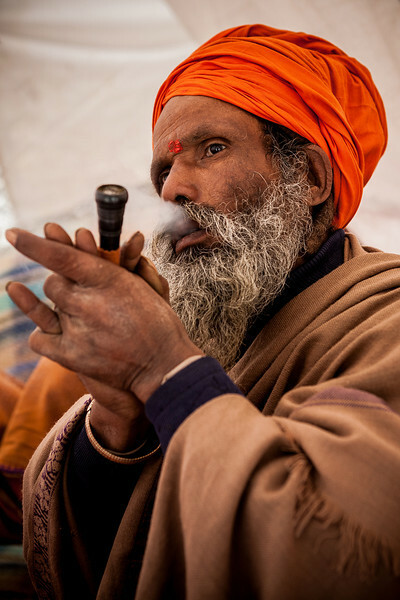 We encountered many sadhus (holy men!) 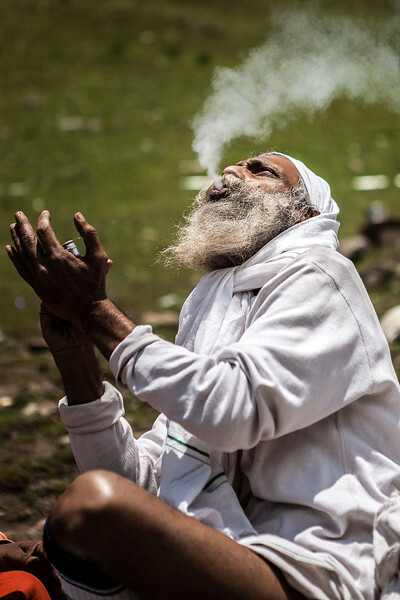 like this, smoking up, lost in their own worlds on the way to the holy cave during the Amarnath yatra. 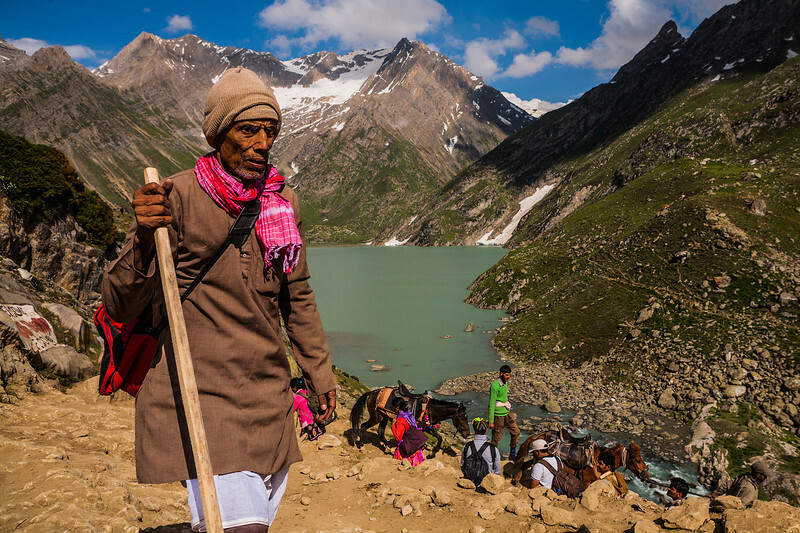 Thousands of Hindus undertake a pilgrimage to Amarnath every year, at a height of 3888mt, in honour of Lord Shiva. A Gujjar family gathered outside home to see us. 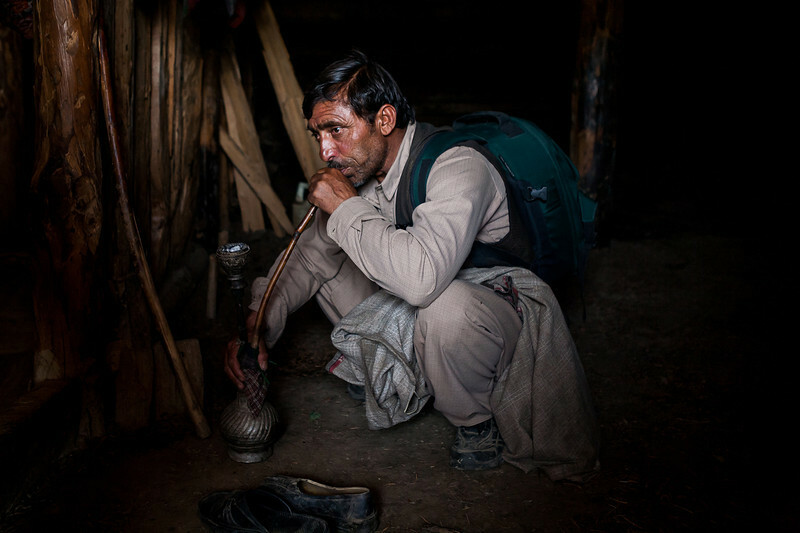 Head of the family works as a forest security guard who is sitting extreme right on the stool made out of chopped tree. 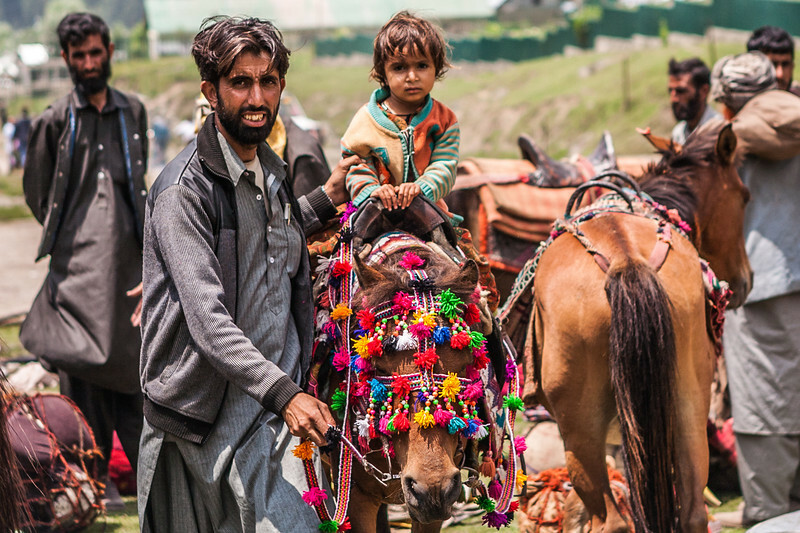 Gujjars are a nomadic tribe of shepherds who move up to the greener pastures in the hills in the summer. Come winter, they move down to the plains with their entire households and flocks. This was one such Gujjar family, happy to have us in their home. 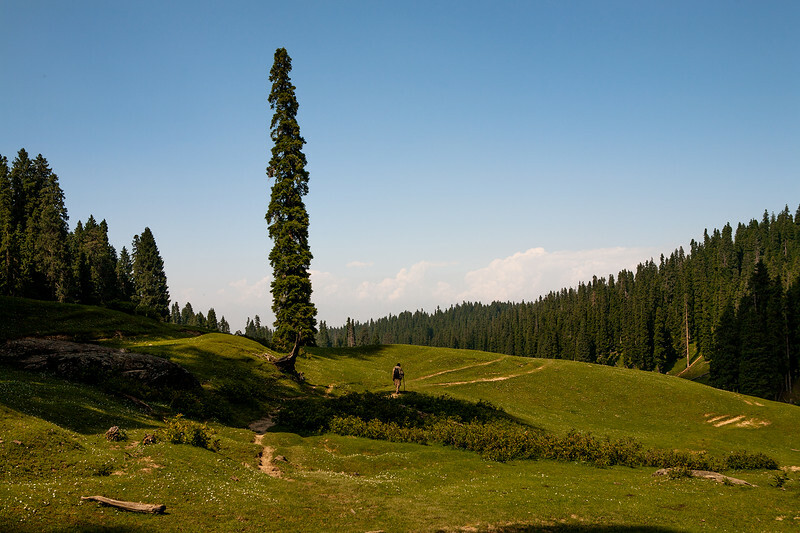 Rashid Dar, was our guide on a forest trek near Yusmarg. He had lived quite an adventurous life so far. 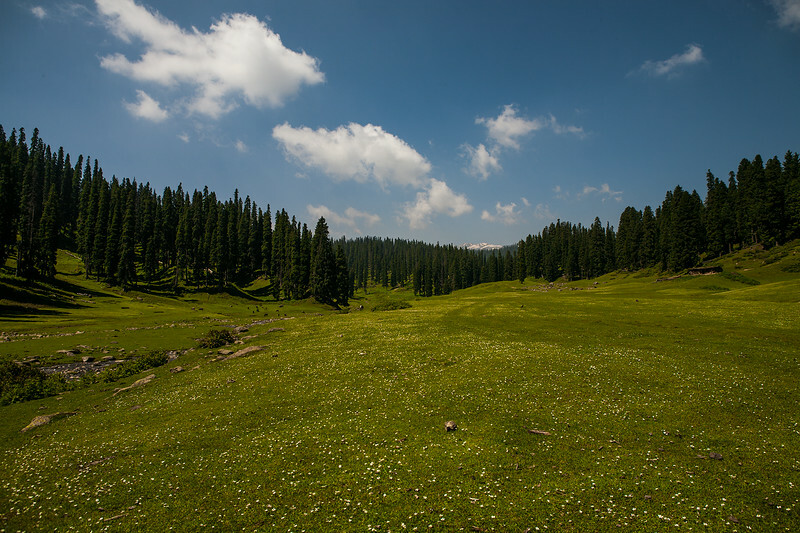 The forests surrounding Yusmarg were like his backyard and he was an expert at finding trails in the forest.